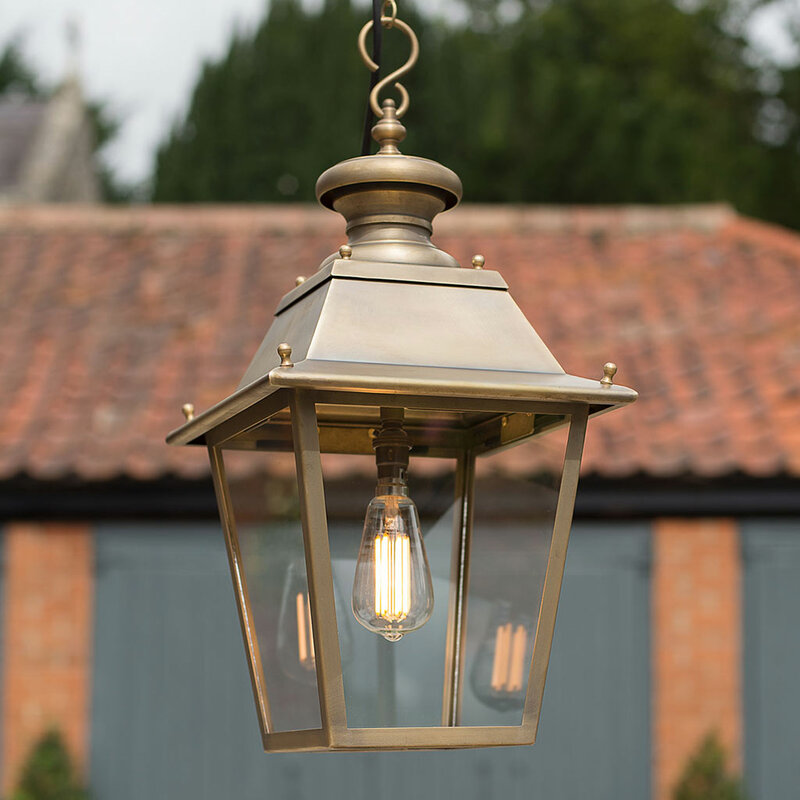 Our solid brass Canterbury Lantern is a larger size outdoor light, although we do a version with even grander proportions! 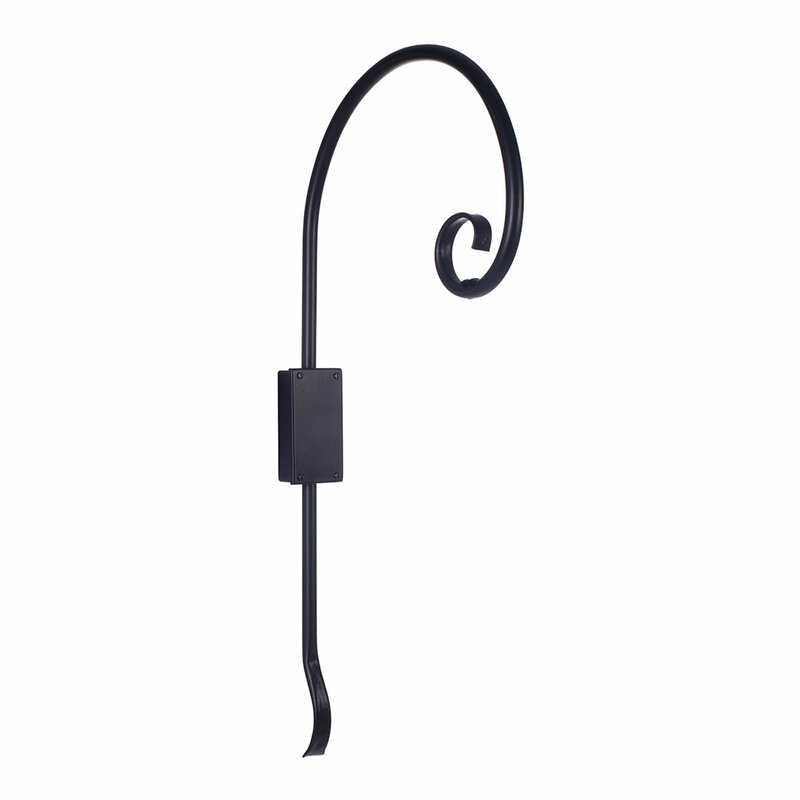 Its classic design will add elegance and timeless style to the exterior of your property. 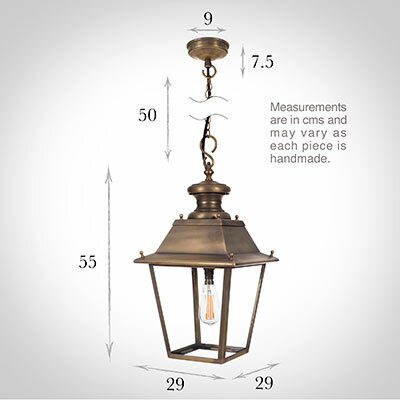 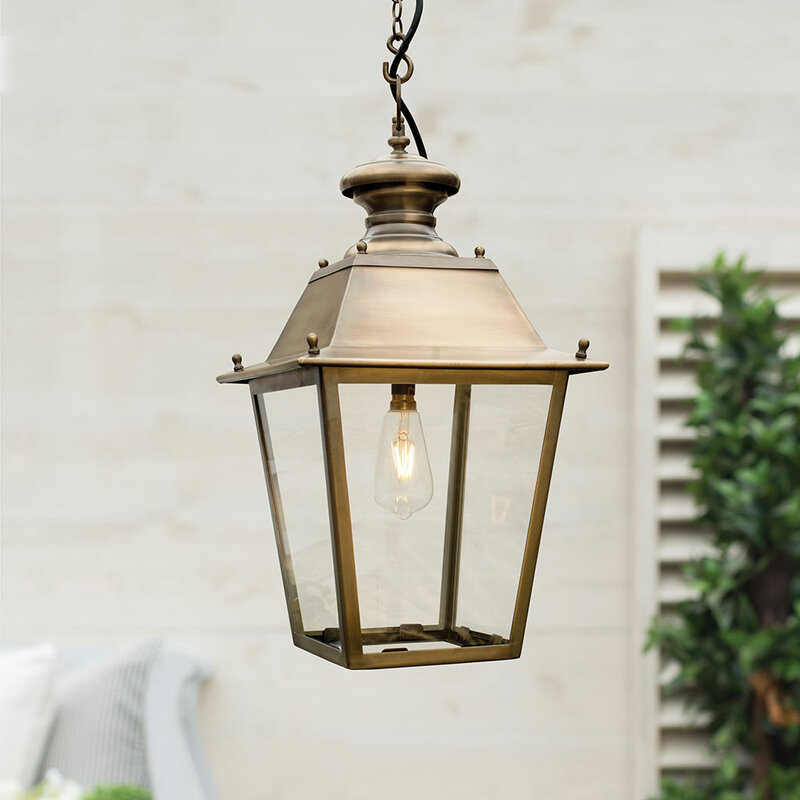 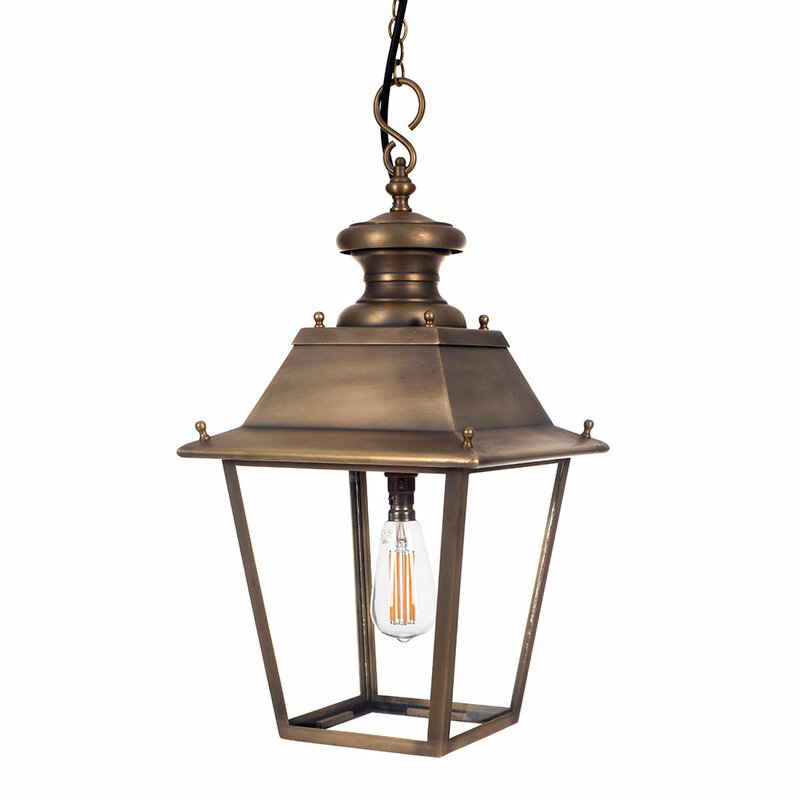 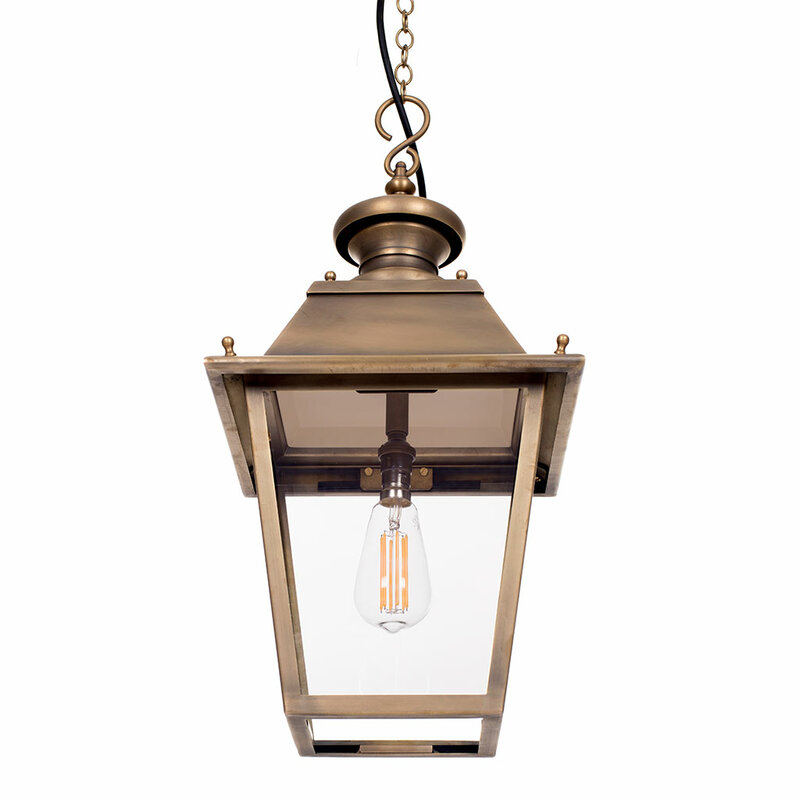 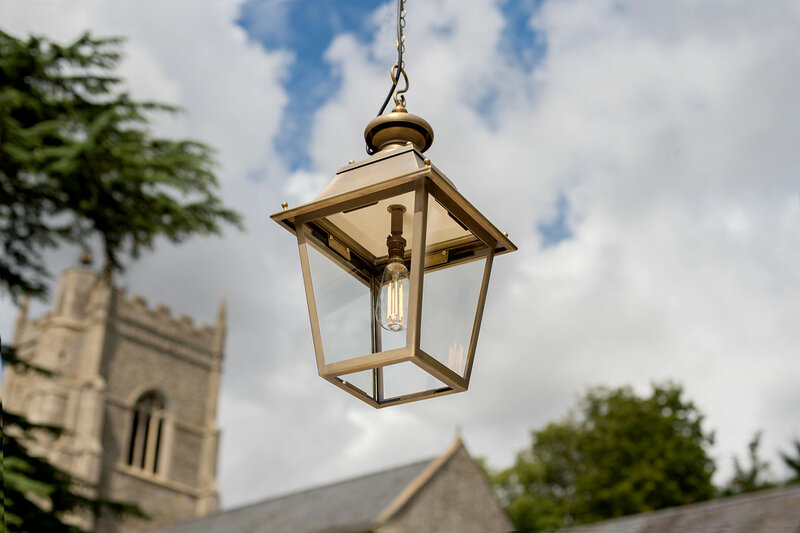 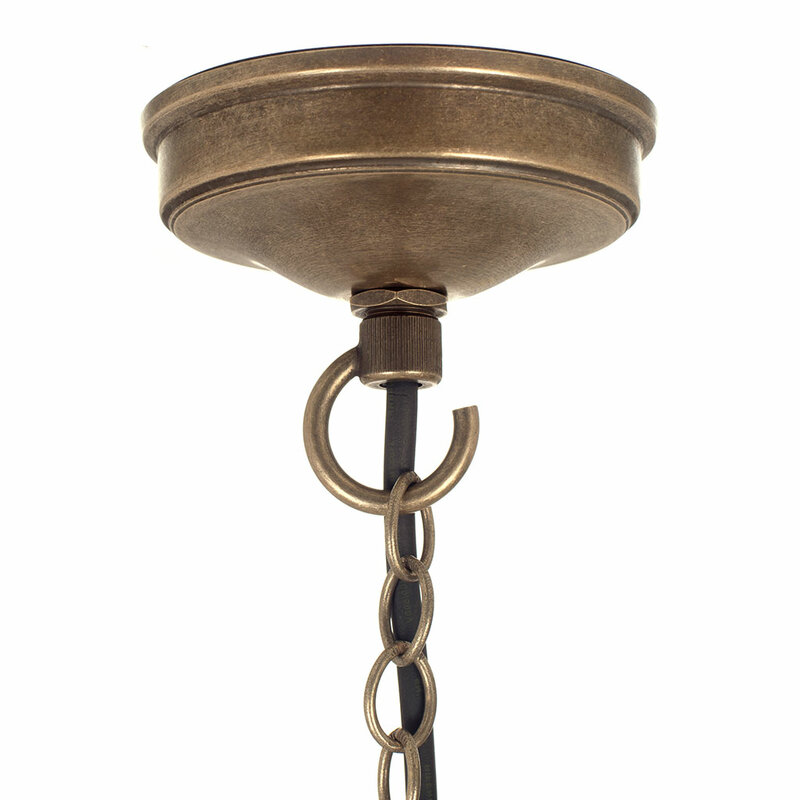 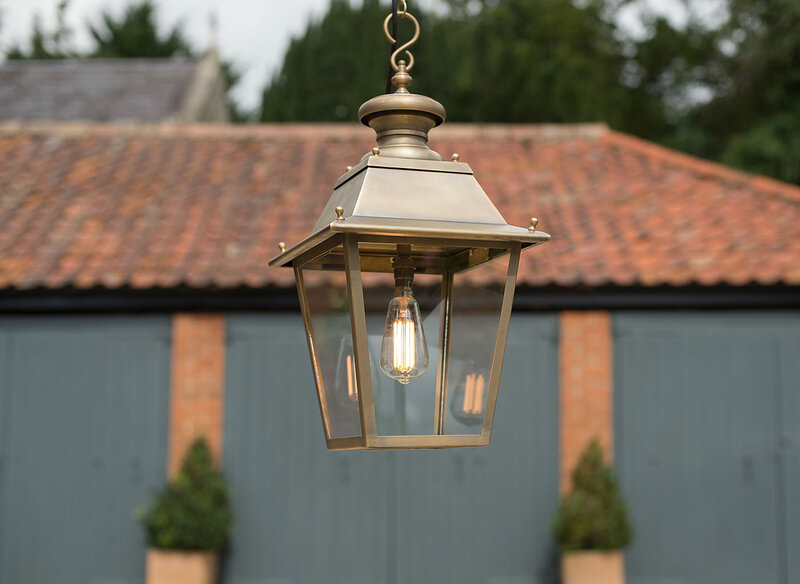 The lantern is supplied in our antiqued brass finish with 50cm of matching chain. 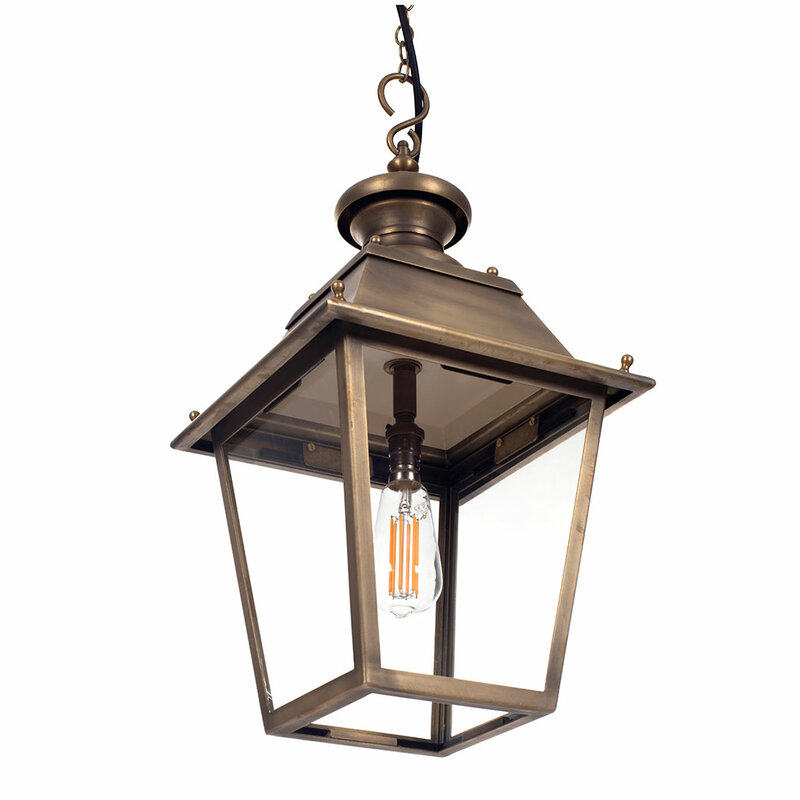 Fitting Options: can be supplied with an E14 (small edison screw) bulbholder for Europe on request, please call for advice.